Sustainability and economic considerations get along so well that you might as well call them best friends. Saving energy is one step in the process, but that’s not the end of it. For instance, Hytrol’s E24 and E24EZ conveyor lines are a good example. Aside from providing a much-needed alternative to conventional 24-volt conveyor rollers, these conveyors have immediate and significant sustainability advantages. 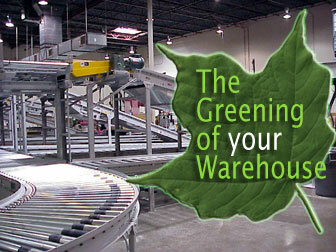 How green does conveyor get? In the case of E24, we’re talking about energy savings as high as 60%. But then we get into raw materials savings: An E24 conveyor lasts about 6 times as long as a conventional roller at 125,000 hours life expectancy (24/7 runtime). That’s less steel and power used to manufacture it. E24EZ conveyors have a built-in that allows the conveyors to enter an energy-saving “sleep mode” for the ultimate in quiet, efficient, sustainable powered roller conveyor. Because the conveyor can use only one motor for all widths, it’s excellent for reducing needs for specialized, energy-consuming motors. With 3 moving parts, there are many fewer opportunities for parts failure, and the inefficiency that comes with it. There are other ways to use conveyors to create a more sustainable operation. Contact us today for assistance. We’ve been posting a series of brief conveyor white papers. There are 5 now, with many others in development for future publication. You’ll always be able to download these PDF files from our site, and will be informed as there are new ones. This paper, “Conveyor System Implementation Considerations” (PDF file; opens in a new window) focuses on implementation considerations. 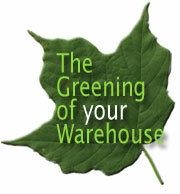 The Material Handling Industry of America has posted a video that may be helpful if you are starting the process of “greening” your supply chain. Baby steps are important, especially at the plant level. For instance, in a recent Cisco-Eagle white paper (PDF), we point out the value of energy efficient conveyor motors. A thousand feet of conveyor outfitted with energy efficient motors could cut enough energy costs over five years to pay for 90% of the cost of the equipment. Also, besides its money savings and “green” profile, you are also saving on heat, which means the equipment may require less maintenance, and endure less wear and tear. It’s a win-win. We’re compiling a great deal of conveyor-related information, tips and articles into a series of downloadable conveyor white papers. The first focuses on the basics of conveyor maintenance – what to do, when to do it, and how, in general terms. As the paper says, most conveyors ship with detailed maintenance manuals that will help your staff keep them running at top efficiency. The good news is that conveyors are very tough, reliable machinery. They require maintenance, but for the hours of service and stress put on them, they are remarkably reliable.